There are 52 pages in total. Each letter of the alphabet has one Upper Case page and one Lower case page. And each page contains images of objects that start with the letter on the page. 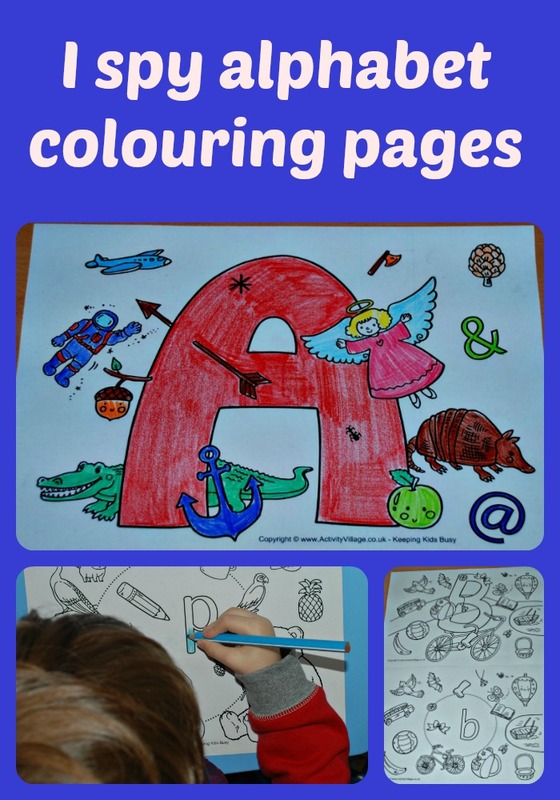 I think these would be great to use as part of a letter a week activity with younger kids. My son already knows his letters but he has been enjoying looking at the pictures that go with each letter and sounding out the objects. So on the B page he liked trying to sound out b-a-ll and b-i-r-d etc. He did not get all of the objects correct but it was great at enforcing which objects start with which letter. Here is one of the pages that he worked through, the p page. It is proving to be a great activity for him to do when he wants to sit at the table with his big sister while she writes or does some of her learning pages. I have printed out the whole pack and they are sitting on my bookshelf, so when he asks for a page I can just grab one. Nice and easy for me. Last week he actually asked his big sister to do a page with him – although to be honest I think she ended up doing most of the colouring while he sat and tried to sound out the words. But I am not complaining as she helped him sound out some of the A words and it ended up being great spelling practice for her. And although we have only be using the pack for 2 weeks now I am enjoying the fact that I have some pages printed out waiting for my son. 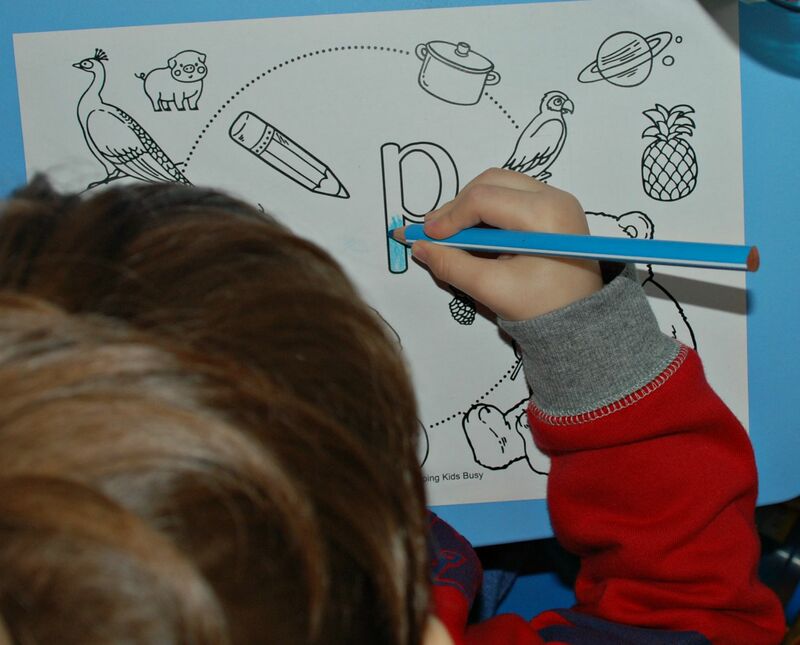 He gets to practice his pencil control while colouring in and he is leaning a lot about sounds while he is doing the pages. 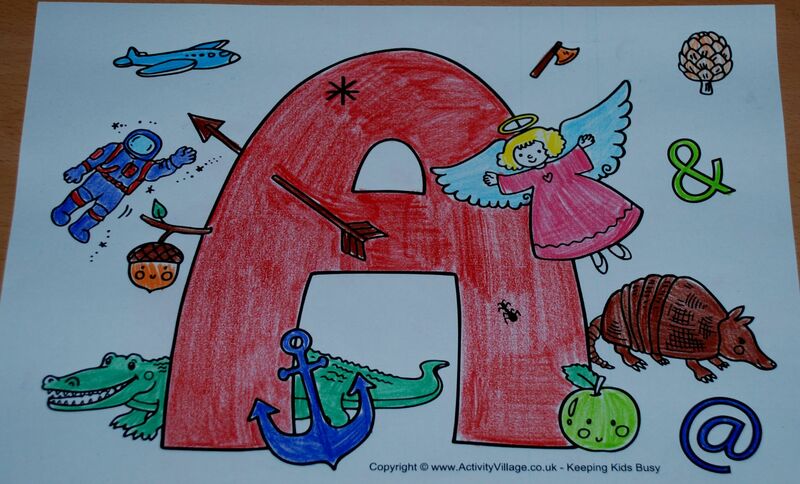 This entry was posted in English Ideas and tagged activity village, home ed, homeschooling, I spy alphabet pages, learning letters and sounds. Bookmark the permalink.